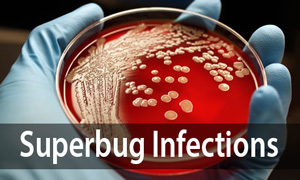 Superbugs, aka drug-resistant bacterial infections, can cause infections that are hard to treat with antibiotics, the drugs that usually kill bacteria. In fact, according to the Centers for Disease Control and Prevention (CDC), all bacterial infections in the world are slowly becoming resistant to antibiotic treatments. That's because disease-causing bacteria are living organisms that constantly evolve, enabling them to adapt to new environments. Antibiotic resistance develops over time — it can start from even a very small number of microbes within a population that have genes that allow them to continue to grow, despite the use of drugs that would normally kill them. Researchers suggest that some microbes are able to survive antibiotic treatments because they swap genes with each other, making them drug-resistant. In any case, the bacteria that survive an antibiotic treatment eventually outnumber the population of bacteria that are susceptible to the drug. 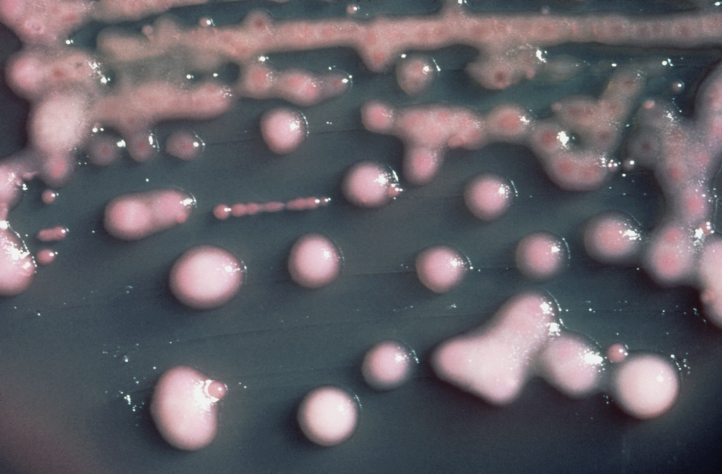 Here are 6 superbugs that can be challenging to treat. This is the bacteria that can infect the lungs and lead to pneumonia. It can also infect wounds or surgical sites, or spread through the body via blood infections. Normally, Klebsiella bacteria can be found in humans' mouths, intestines and skin, and they cause no harm to people with healthy immune systems. But certain strains, like Klebsiella pneumoniae, can be dangerous for some people with weakened immune systems, particularly those in hospitals. One strain of the bacteria is also resistant to a number of antibiotics, making the infection hard to treat. This type of Klebsiella pneumoniae produces an enzyme known as carbapenemase, which prevents antibiotics called carbapenems from killing the bacteria and treating the infection. MRSA is a strain of bacteria that's resistant to the antibiotics used to treat typical staph infections. The bacteria can spread by touching, as often occurs in hospitals. Once the bacteria enters the body, they can spread to bones, joints or major organs such as the lungs, heart or brain. The rate of MRSA infections in hospital patients has increased in recent years, according to a recent study published in the August 2013 issue of the journal Infection Control and Hospital Epidemiology. Results showed that in 2003, an average of 21 out of every 1,000 hospital patients developed an infection. The number jumped up to 42 out of 1,000 patients in 2008. MRSA was all over the news in Tampa Bay in August 2013 when pro Bowl guard Carl Nicks and place-kicker Lawrence Tynes were sidelined indefinitely by MRSA, and the whole Bucs facility had to be sanitized. The MRSA is spread through contact with an infected person. Football is a contact sport, and NFL had had previous encounters with MRSA infections. C. diff bacteria are found in the intestines. 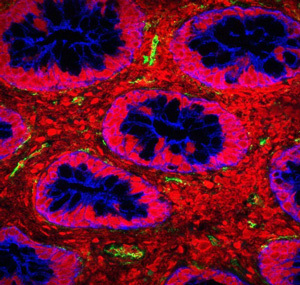 Healthy people who have enough "good" bacteria in their intestines may not get sick from a C. diff infection. But for people with weak immune systems, the germ can cause a number of symptoms, such as diarrhea or life-threatening inflammation of the colon. People who take antibiotics are at greater risk of C. diff infection, because antibiotics can kill the good germs in the intestines, leaving an imbalance. Those most at risk are the elderly who take antibiotics, and also patients who get regular hospital or nursing home care. C. difficile is linked to an annual 14,500 American deaths from gastroenteritis, or "stomach flu". The number more than doubled between 1999 and 2007, according to new research from the Centers for Disease Control and Prevention. 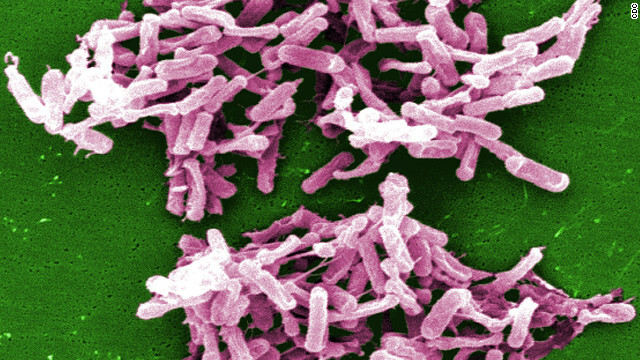 C. diff accounted for two-thirds of all gastroenteritis deaths over the study period. This rare type of tuberculosis is resistant to a number of antibiotic drugs, which leaves fewer treatment options, thus increasing the risk of death from TB or lung cancer. 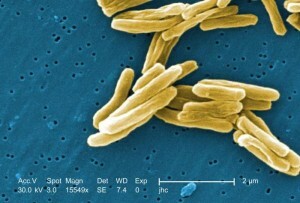 Tuberculosis is a contagious bacterial infection that involves the lungs, but can spread to other organs. A person with TB releases the bacteria into the air when they cough or sneeze, and the germs can float for several hours. People who breathe in the air containing the bacteria can become infected. A total of 10,528 TB cases were reported in the U.S. in 2011, according to the CDC. Watch a video about XDR TB around the world. 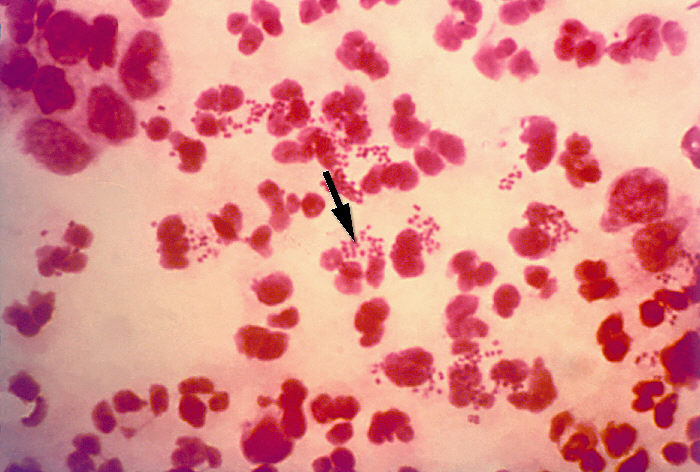 Gonorrhea is a sexually transmitted disease (STD) that is caused by the bacteria Neisseria gonorrhoeae. Over time, gonorrhea bacteria have developed a resistance to antibiotics such as sulfonilamides, penicillin, tetracycline and ciprofloxacin, which are commonly prescribed to treat gonorrhea infections. Recently, the CDC stopped recommending the use of an antibiotic called cefixime to treat gonorrhea, because the drug was losing its effectiveness. Now, they recommend treating infections with a drug called ceftriaxone, along with either azithromycin or doxycycline, as the best way to reduce the risk of the bacteria becoming even more drug-resistant. In 2010, a total of 309,341 cases of gonorrhea were reported in the U.S. — a rate of about one case per 1,000 people, according to the CDC. These are a large group of bacteria, and some normally live in the intestines of people and animals. Although some strains of the bacteria are harmless, others can cause diarrhea, urinary tract infections, respiratory illness and pneumonia. One harmful strain is the Shiga toxin-producing E. coli, also known as STEC, which live in the guts of animals such as cattle, goats, sheep, deer and elk. Humans can become infected by eating contaminated food, drinking raw milk or contaminated water, coming in contact with cattle or with the feces of infected people. STEC are resistant to a number of classes of antibiotics. In fact, antibiotic treatment is generally discouraged because it may increase the risk of developing hemolytic uremic syndrome, a disorder that can destroy red blood cells, causing damage to the kidneys. 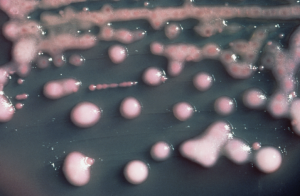 An estimated 265,000 STEC infections occur yearly in the U.S., reports the CDC.